Facebook has launched a new feature designed to make your News Feed more transparent. Called “Why am I seeing this post?”, it should help you understand why your News Feed looks the way it does. And then help you personalize your News Feed How (and Why) to Disable Algorithmic Feeds on Twitter, Instagram, and Facebook How (and Why) to Disable Algorithmic Feeds on Twitter, Instagram, and Facebook Twitter and Instagram are now following Facebook with algorithmic timelines. See what this change means for you, why you might want to disable it, and how to go back to the old view. Read More . When Facebook first launched, you’d see everything your friends posted. It was simple, effective, and easy to understand. However, as more people joined Facebook, the social network started curating everyone’s News Feeds, whether they liked it or not. This was good for Facebook, as it allowed the social network to decide what you saw and when. However, many of us have become increasingly frustrated with the algorithmic Facebook News Feed. Especially as it’s almost impossible to understand. “Why am I seeing this post?” is an attempt to fix that problem. In a post on the Facebook Newsroom, Facebook details the new feature, explaining how it’s designed to “help you better understand and more easily control what you see from friends, Pages and Groups in your News Feed”. Or at least that’s the plan. As the name suggests, “Why am I seeing this post?” will explain why a particular post is appearing in your News Feed. 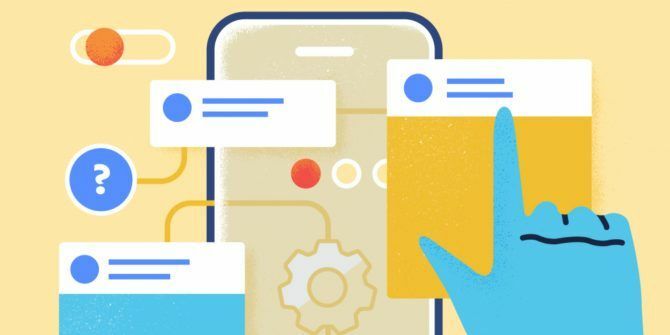 It will show how your past interactions have led to the post appearing, and provide information on how your actions influence Facebook’s algorithm. As well as showing you the why, this feature will give you shortcuts to the controls needed to personalize your News Feed. All you need to do is click on the drop down menu in the right-hand corner of a post, and explore to your heart’s content. Facebook is also updating “Why am I seeing this ad?” This has been available since 2014, and shows you why you’re seeing certain ads. The social network will now provide more details as to exactly what has led advertisers to target you with their wares. Ramya Sethuraman, a Product Manager at Facebook, said, “Both of these updates are part of our ongoing investment in giving people more context and control across Facebook. We will continue to listen to your feedback and evolve these features over time”. Facebook has endured PR disaster after PR disaster of late. So any effort which allows users to see what’s happening behind the scenes should be welcomed. And if you’re tempted to take the nuclear option, here are some reasons not to delete Facebook 7 Reasons Not to Delete Facebook #DeleteFacebook 7 Reasons Not to Delete Facebook #DeleteFacebook A growing number of people are calling on us all to #DeleteFacebook. However, while it's not perfect, we believe there are multiple reasons not to delete Facebook. Read More . Explore more about: Algorithms, Facebook. You Can Now Play Snake in Google MapsWhat Is Reddit and How Does It Work?
" it should help you understand why your News Feed looks the way it does"
Will this feature explain why left-leaning news is prioritized higher than right-leaning news? Not receiving verification code for phone. Why? I've checked my email, my texts, and such and I haven't got any codes. I've been trying to verify my phone for several days now to no avail. It really shouldn't be this difficult. Obviously, sending confirmation codes through sums is not working for you guys. How do I get a code? I can't text for a new code either, because it won't go through.